Reading’s first ‘Showcase Saturday’ began on a high note with one of Leightons’ staple eyewear brands: William Morris! ‘Showcase Saturdays’ will be a new weekly addition to Leightons Reading, with weekly display updates and our favourite products and services featured at the forefront of the branch. Each Saturday will give you the opportunity to see the latest eyewear trends and chat to Leightons experts about the latest brands, eye care services and optical news. On Saturday 9th September 2017, our Reading store displayed them as the focus of our first ‘Showcase Saturday’, a warm introduction for the city’s shoppers to meet one of our favourite designers. With a striking new collection and a refreshed display of William Morris updating Leightons Reading’s window, there was a buzz in store as excited customers got to discover, rediscover and explore the brand. William Morris epitomises contemporary British eyewear, keeping up to date with modern trends and improvising with them to create a timeless style. It’s their refreshingly modern yet wearable take on eye wear that has made them one of Leightons’ best-selling brands, featuring in almost all of our branches. 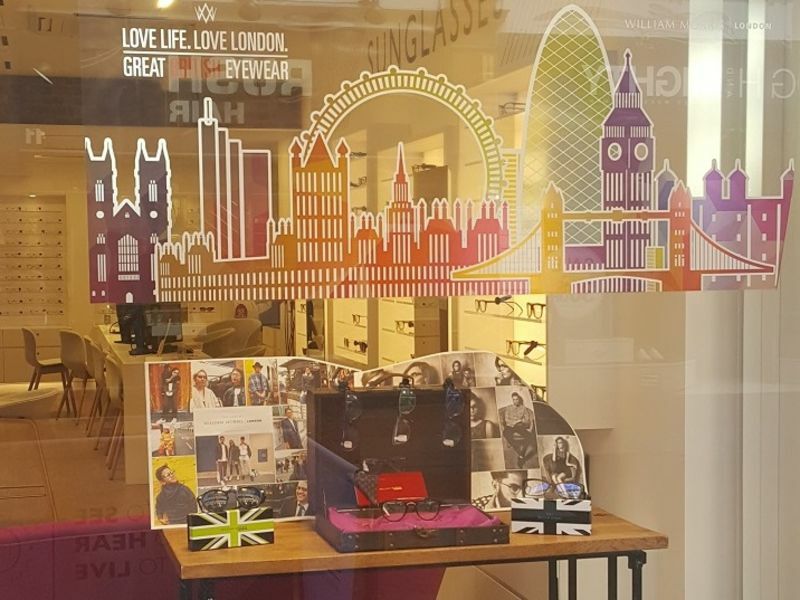 In their new collection, ‘London’, you’ll love the contrasting colour combinations and structured, oversized frames. Designed to accentuate your style, William Morris frames are the perfect way to give yourself a new look this season. Before you are tempted by any new eyewear, it’s worth getting your prescription checked if you haven’t had an eye test for a while. You can book an appointment online, or call 0800 40 20 20. In store, one of our fully-qualified dispensing opticians will be able to adjust your new frames to the perfect fit. Next Saturday (16th September), Reading will be showcasing Walter & Herbert – we look forward to seeing you there!